Carol King selects her Top 5 must-see museums in Italy. 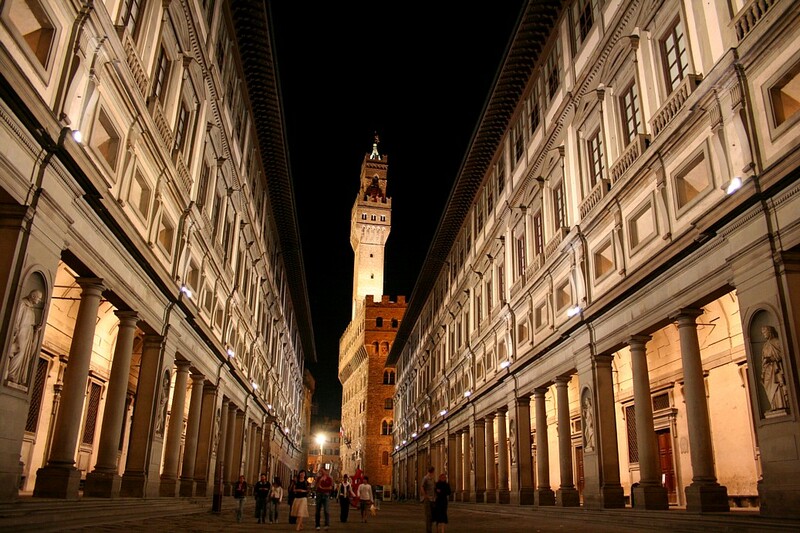 The Uffizi Gallery is one of the oldest museums in the world. Housed in a vast 16th century palace, the Uffizi is a must-see for any art lover because it contains some of the most famous masterpieces of Western art. Among the many notable works on show are Leonardo’s ‘Annunciation’ (c. 1472-75), Sandro Botticelli’s ‘Primavera’ (c. 1482) and the central panel from Paolo Uccello’s triptych ‘The Battle of San Romano’ (c. 1435-55). Other revered Italian artists whose works are include Caravaggio, Titian, Michelangelo, Raphael, Cimabue, Duccio and Piero della Francesca. As you might expect from the city that gave birth to the Renaissance, the gallery houses many major works produced at that time, but the Uffizi is also home to pieces by German, Dutch and Flemish masters with important paintings by Albrecht Dürer, Rembrandt and Sir Peter Paul Rubens. The only downside of the Uffizi is that there is so much to see, so it is best to arrive early in the morning to pack in as much as possible. Another tactic is to make a list of the paintings you really want to see and then visit those first before you become overwhelmed. Address: Piazzale degli Uffizi 6, 50122 Florence, Tuscany. Opening hours: Tuesday to Sunday, 8.15am to 6.50pm, closed Monday. Website: http://www.uffizi.firenze.it/en/index.php It is advisable to book tickets online in advance to avoid having to wait in a long queue. The National Archaeological Museum of Naples is Italy’s most important archaeological museum. It houses a range of ancient treasures, and not just those produced by the Greeks and Romans: its Egyptian collection is one of the best in Italy and testifies to the importance of the relationship between Rome and Egypt that began in 200BC. The Farnese Collection of antiquities includes various masterpieces, perhaps the best of which is the colossal marble sculptural group ‘The Farnese Bull’ that dates to 200BC and depicts the Greek myth of Dirce. The crowning glory of the museum has to be its mosaic collection because it houses artefacts from Pompeii and Herculaneum, and the mosaics from the two archaeological sites on display are breathtaking for their lush colours and the refined nature of their exquisite compositions. 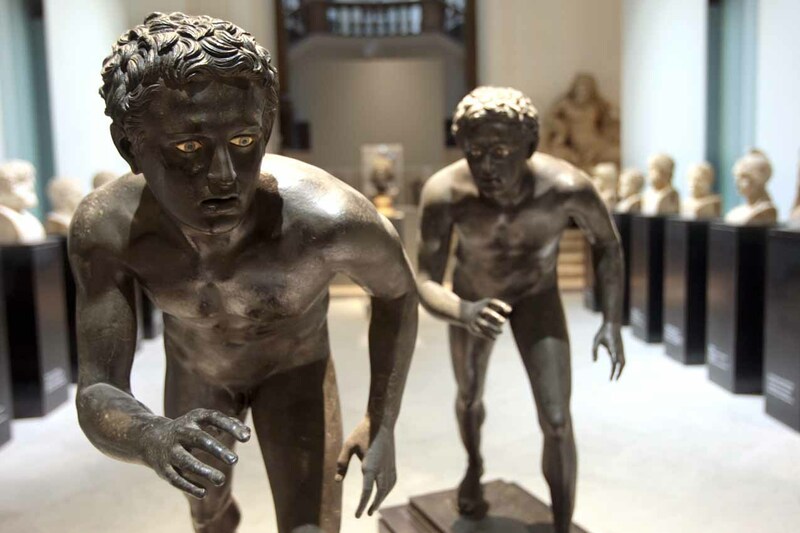 The most bizarre exhibit is the ‘Gabinetto Segreto’ (Secret Cabinet), which contains explicit erotica found at Pompeii and Herculaneum in the form of statuary, mosaics, frescoes and even household objects. Address: Piazza Museo 19, 80135 Naples, Campania. Opening hours: Monday, Wednesday to Sunday 9am to 7.30pm, closed Tuesday. 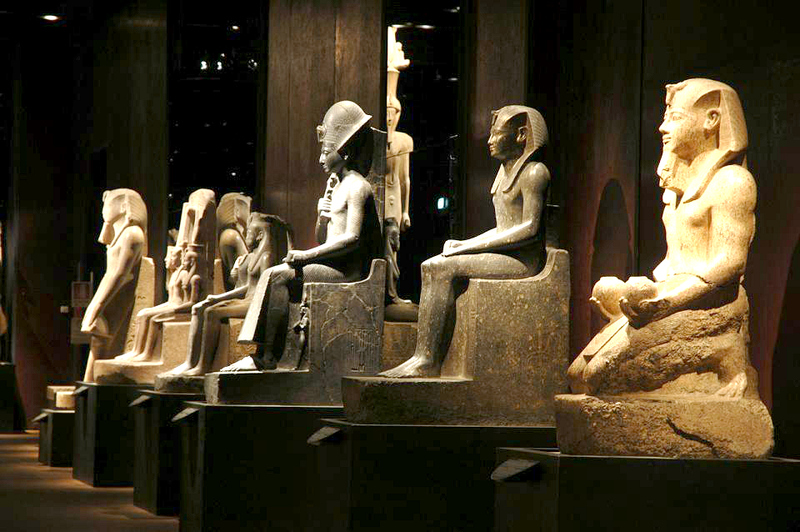 Turin’s Egyptian Museum is the only museum other than the Museum of Egyptian Antiquities in Cairo that is dedicated solely to Egyptian art and culture, and houses the world’s second largest collection of Egyptian antiquities. The Egyptian Museum began its collection in the 18th century when interest in Ancient Egypt started to become fashionable. The collection has expanded over the centuries to include items found during excavations conducted in Egypt by the museum’s archaeological mission between 1900 and 1935. The result is a treasure trove comprising thousands of artefacts, including monumental stone statues, textiles, sphinxes, stelae, papyri, sarcophagi and mummies that are displayed to their best thanks to the museum’s remodelling in 2006. Some 6,500 objects are on display and another 26,000 objects are in storage. Among the many fascinating objects to see is the ‘Turin Papyrus Map’ (1160BC), which is the oldest surviving map of topographical interest from the ancient world. Address: Via Accademia delle Scienze 6, 10123 Turin, Piedmont. Opening hours: Tuesday to Sunday, 8.30am to 7.30pm, closed Monday. 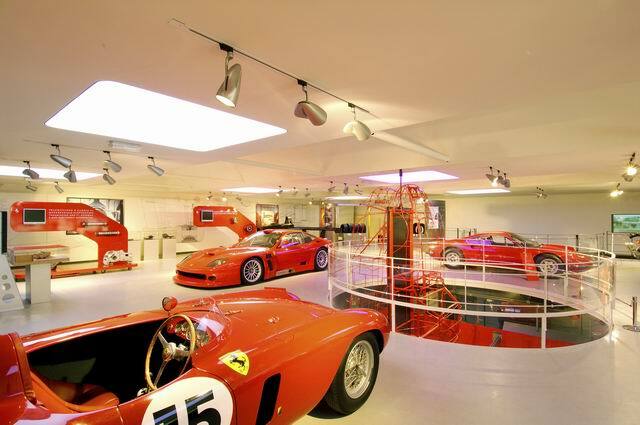 A dream destination for petrol heads, the Ferrari Museum is dedicated to motor racing and the cars produced by the world famous sports-car manufacturer. Exhibits are spread over spread over six main halls and include some of the most beautiful Ferraris designed by Sergio Pininfarina during 60 years of collaboration with the prancing horse company. There are also many of Scuderia Ferrari’s World Championship winning single-seaters on display. However, perhaps the most fun exhibits are two simulators where you can experience the thrill of driving a Formula 1 car. Address: Via Dino Ferrari 43, 41053 Maranello, Emilia-Romagna. Opening hours: 1 October to 30 April, Monday to Sunday, 9.30am to 6pm; 1 May to 30 September, Monday to Sunday, 9.30am to 7pm. 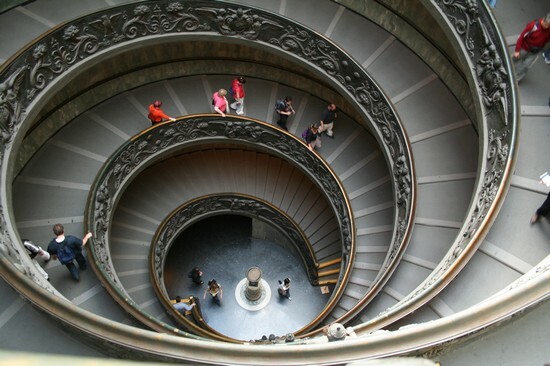 Founded in the early 16th century, the Vatican Museums are some of the best in the world. They contain treasures collected by the Roman Catholic Church throughout its history: from classical sculpture to Renaissance art, and the Sistine Chapel with Michelangelo’s incomparable frescoes to papal carriages and cars. The piece that started the collection, ‘Laocoön and His Sons’ (c. 25BC), is a monumental marble sculpture depicting figures from Greek mythology that is known for its dynamism, and the art gallery houses gems such as Raphael’s landmark work ‘Madonna of Foligno’ (1511) and Caravaggio’s moving piece ‘The Entombment of Christ ‘(1602–03). However, the Vatican Museums contain such a wealth of objects it is hard to pick out the highlights – and to see them all in one visit. The museum complex is certainly worth more than trip and – if you can face a queue – is open to the public for free on the last Sunday of each month. Address: Viale Vaticano, Vatican City, Rome. Opening hours: Monday to Saturday, 9am to 6pm, closed Sunday. Website: http://mv.vatican.va/ It is advisable to book tickets online in advance to avoid having to wait in a long queue.